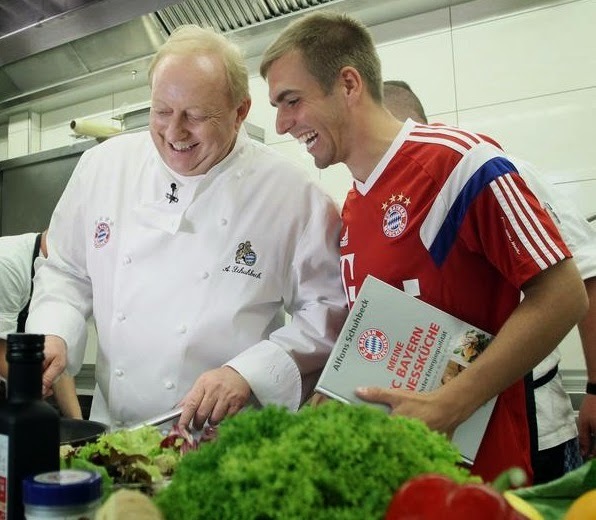 I know when I'm tucking into a delicious meal the last thing I want to think of is Franck Ribery. Sure, the Bayern Munich and France winger is a supremely gifted player, but besides his frightening teeth and unusual appearance, he strikes me as someone who sweats a lot. The thought of Ribery sweat in my cream of broccoli soup turns my stomach a little if I'm being honest. 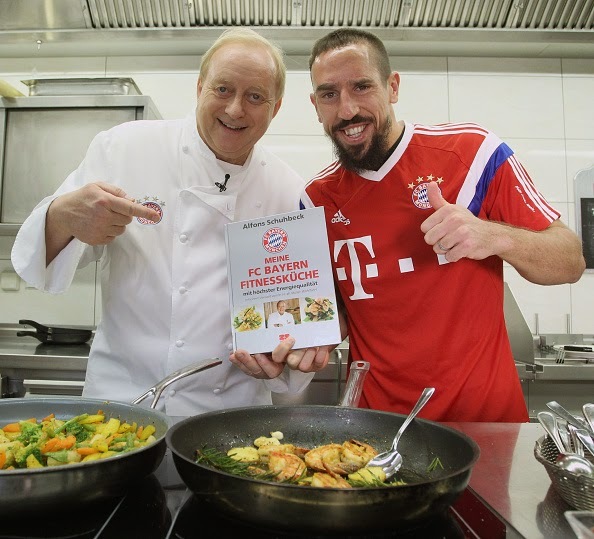 Anyhow, Ribery and several of his Bayern Munich teammates took time out this week to help launch an official cook book for the club that was written by German Chef Alfons Schuhbeck. At the time of writing I haven't been able to find any references to what actual recipes are in this particular tome, so I've taken the liberty of making up a few tasty possibilities. And that's about it... Plus I cheated on the last one, so hopefully the Müller company doesn't sue me. Anyhow, this book will soon be available on the Bayern Munich club site and in other fine retailers.